thanks speech at the Timpson Group’s 150th Anniversary Suppliers Lunch. 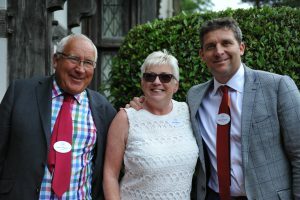 The lunch, held at James Timpson’s Manley Knoll home, saw an exlusive guest list of 100 of the Group’s major suppliers, including Kodak, NatWest, and of course, The Jools Payne Partnership. Jools said afterwards: “I was really proud and delighted to have been asked by John and James to deliver the official vote of thanks to the family for their hospitality at such a prestigious and memorable occasion.